Studying Permaculture in Central America offers amazing opportunities to learn from indigenous cultures, rich natural patterns, and enormous diversity. Permaculture in Central America is representative of the edge effect or Edge Valuing Principle of Design. As one of the world’s centres of biodiversity, Central America attracts people from all over the world interested in learning through nature. Permaculture practices can be seen in action via the surviving indigenous traditions that are common in Central America. These 90+ hour certification courses are internationally recognized courses with the full curriculum, as laid out by Bill Mollison and Dave Holmgren, filled with a mix of theoretical design methodologies and hands-on practical experience. Additional focus is also applied on permaculture-inspired, land-based, sustainable business development. Course content and training is applicable to all climate types and regions. Designed for aspiring design professionals, permaculturalists, farmers and gardeners, architects, engineers, scientists, and all other professionals who are interested in learning and promoting a more sustainable, nature-based approach to their work. This full PDC is in collaboration with The Yoga Forest and includes not only the full 72-hour curriculum but also optional yoga, allowing participants the space to reflect on Permaculture and their own inner lives. Over the years we have crafted an in-depth, dynamic curriculum that we are very proud of. We cover all elements of permaculture, from its guiding ethics and principles to hands-on strategies of garden bed creation and soil loss prevention; from invisible structures and fair share to the implementation of successful permaculture-based enterprises; from animal husbandry and care to natural building and sustainable technology. Depending on your specific PDC, you may receive a lesson on Mayan Cosmology and indigenous agriculture, or on the design and implementation of a successful market garden, or on the importance of inner work such yoga and meditation as a part of permaculture. No previous experience or training in Permaculture is needed to take this course. Your days will be filled with amazing insight and discoveries! We offer unique pdcs for all interests! In collaboration with the Yoga Forest. You will spend the first week of this PDC at the Yoga Forest, a Permaculture-designed yoga center in San Marcos. During your stay there, you can take part in optional yoga classes every morning. In collaboration with The MesoAmerican Institute of Permaculture. This course explores the synthesis between the ancient and the modern, models of regenerative living offered by both and how we can understand our place in the world using each. 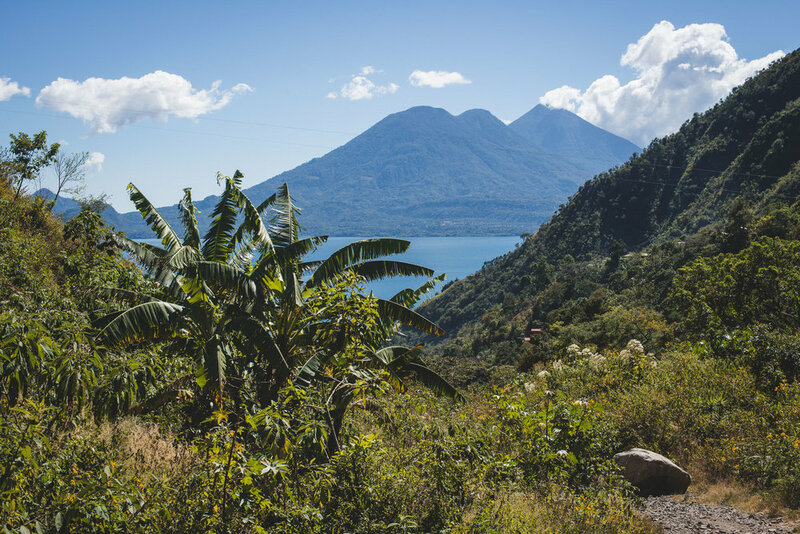 Lodging at the beautiful Bambu Guest House, a naturally-built hotel on stunning Lake Atitlan. Facilitation, field trip excursions, course material, note packs, and other electronic information. Participants are expected to arrive by 4pm, but are welcome to come and check in at the Bambu Guest House/IMAP/The Yoga Forest any time throughout the day (see your Welcome Email upon registration for course-specific arrival locations). We can help arrange shuttles to and from the airport, Antigua, or anywhere else. Just let us know if you need this service.